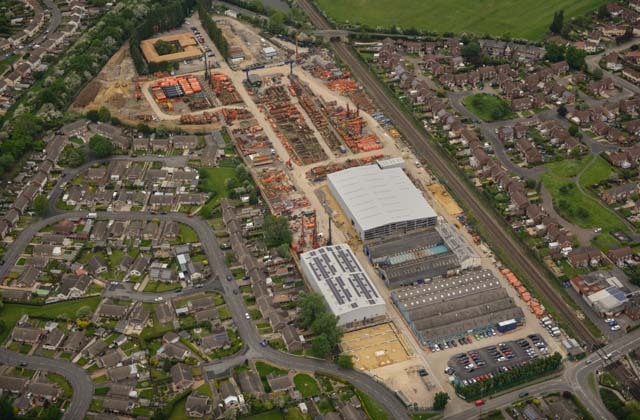 Working for Skanska K Rouse Civil Engineers have been awarded a large redevelopment and modernisation contract at the Cementation / Skanska Bentley site which is the base for UK piling operations. The contract contains the following elements; archaelogical excavations, earthworks including the excavation and disposal of contaminated soils, foul drainage diversions, surface water upgrades including water attenuation, the construction of foundations and pile caps for new buildings, car park construction, and external works. 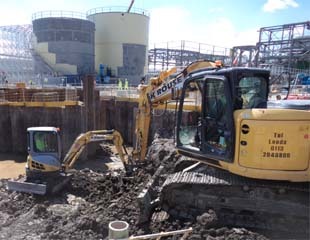 All the works are to be completed whilst the existing yard remains operational for the large piling division. 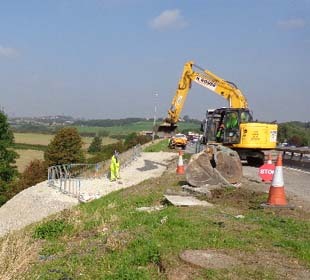 Working for BMjv and following on from the Advanced Works central reservation scheme K Rouse have been awarded the main verge works contract. 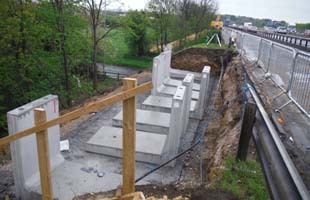 The Managed Motorway project involes the creation of emergency refuse areas, upgrading gantries and signs, and widening slip roads so that the hard shoulder can be used for peak time running to ease congestion. Earthworks to embankments to carry piled foundations for gantries, and bulk excavation works totaling 27,000m3 of cut and 36,000m3 of fill. 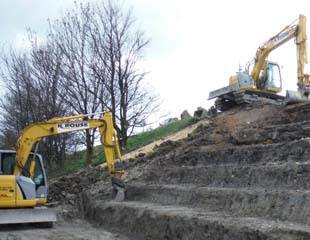 Earthworks to embankments to for Emergency Refuse Areas. 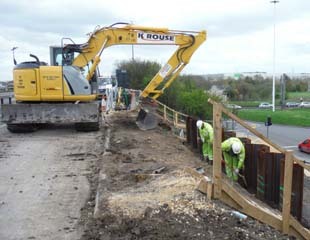 The installation of 13,000m of Combined Kerb Drains. K Rouse have been awarded an additional Pinch Point package along side our current M1 Junction 39 to 42 Managed Motorway scheme. 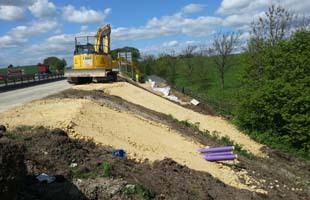 This project involves upgrading Junction 41 and includes earthworks, drainage and road reconstruction. 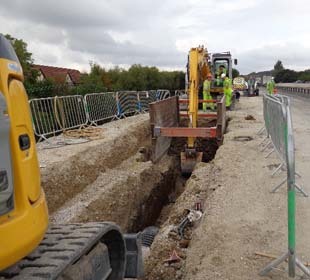 Due to the location and constant use these works are are being carried out as night working under road closures to improve efficiency and minimise disruption to the public. 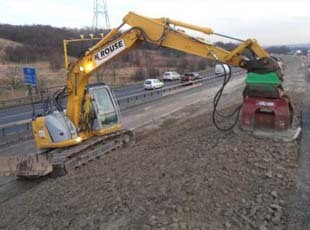 Working for BMjv K Rouse have been awarded works on the M62 HATMS (Highways Agency Traffic Management Scheme) upgrade. The project scope is to install equipment that is intended to protect the back of slow moving traffic from rear end collisions / secondary accidents. This reduces the number of accidents which in turn reduces the cost of accidents and related delays thus improving the flow of traffic. 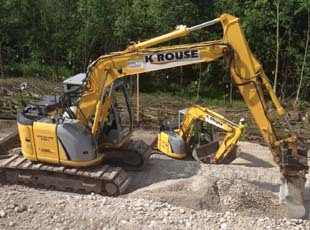 K Rouse's works on this scheme include earthworks and drainage, gabions and retaining structures, and preparing work areas for cross carriageway drilling. 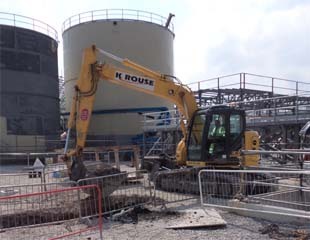 Working for Sisk K Rouse Civil Engineers have been awarded works on their Carrington Power Station project. When operational the plant will deliver 880 MW through Natural Gas Combined Cycle technology, which will be enough to power around 1,000,000 homes. 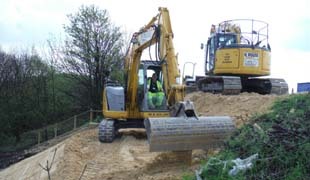 Our scope of works is the site wide infrastructure, including services, drainage, service roads, and concrete works. This complex scheme includes pipework up to 750mm dia at 4.0m deep as well as incorporating stainless steel, MDPE and HDPE runs. Like all Power Station projects the Carrington works are highly complex and intense, involving a large interface with other trades. 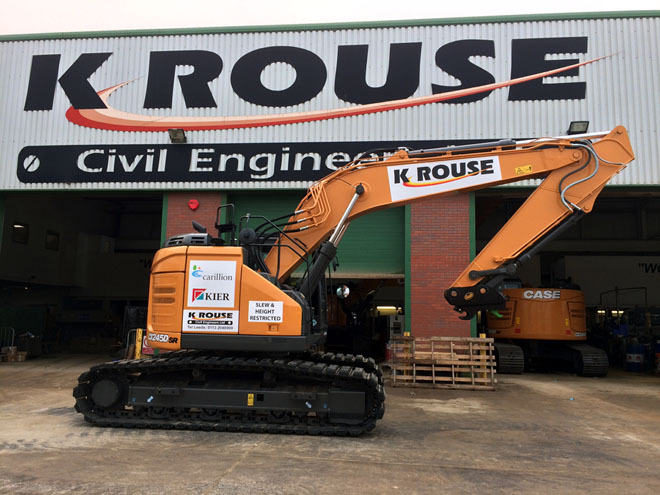 This is the type of demanding environment where K Rouse can show their commitment to excellence through efficient management, programming and the competency of personnel. Working for Carillion Kier Joint Venture (CKjv) K Rouse Civil Engineers have been awarded civils and drainage works along this 10km stretch. 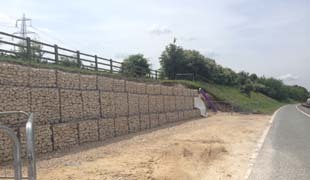 The twenty four week contract includes Drainage, Outfalls and Pre-Cast Concrete Headwalls.